As Fed decided to leave the rates unchanged, USD is losing its strength. 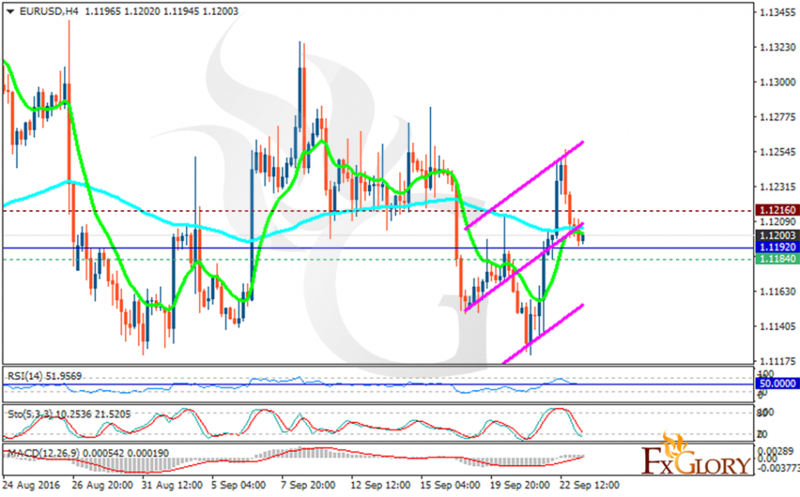 The support rests at 1.11840 with resistance at 1.12160 which the weekly pivot point at 1.11920 is located in between the lines. The EMA of 10 is moving horizontally close to the EMA of 100. The RSI is moving on the 50, the Stochastic is showing downward momentum and the MACD indicator is in neutral territory. The chart seems bearish at the moment, sellers are targeting 1.1150.